Where did you get this imagery? 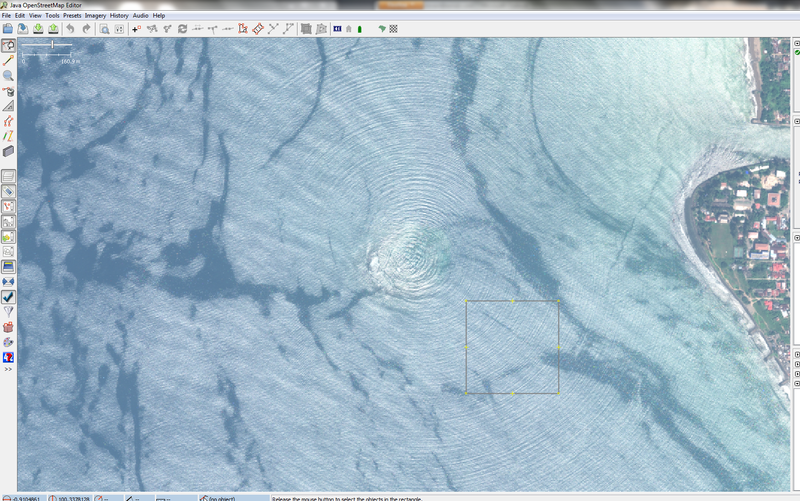 It looks like we have actually captured a small underground earthquake on the imagery (attached image). Either that or there are two submarines colliding off the coast of Padang. > Subject: Re: [HOT] Mapping of Padang! > of "!" in the URL. > I'm updating the task with instructions as well. >>>  I am chating with Kate on Skype right now trying to fix this. >>>  Sujet ： Re: [HOT] Mapping of Padang! >>>  Is there a typing mistace. What about the ! for the y value? >>>  Subject: [HOT] Mapping of Padang! >>>  for Padang is in a much better state.